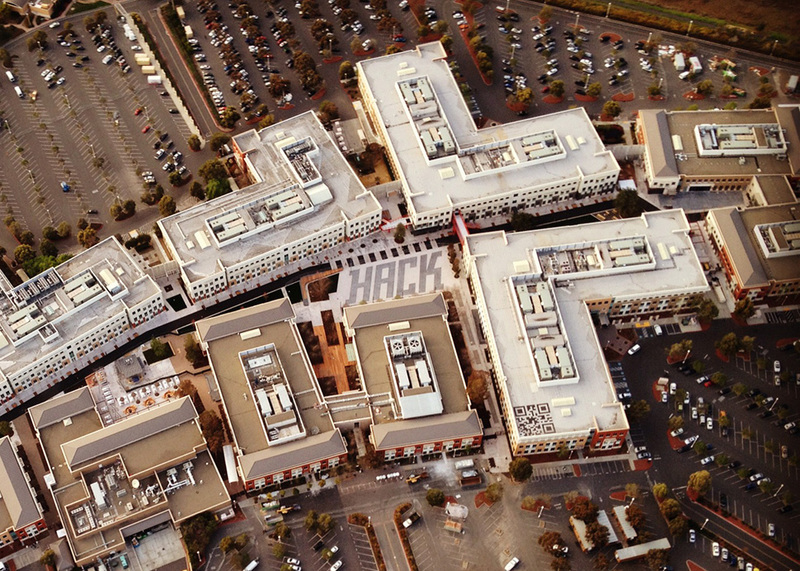 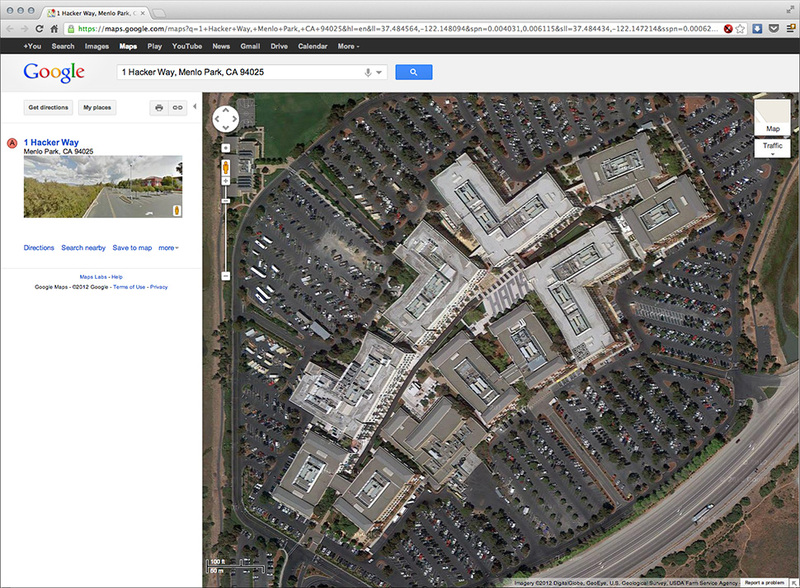 In 2012 Facebook moved into our new home in Menlo Park, California. 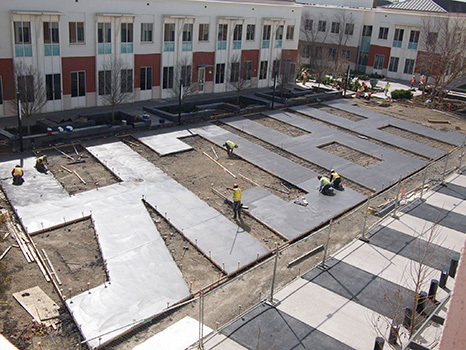 The former Sun Microsystems Campus underwent heavy renovation, and part of that included a large central courtyard space. 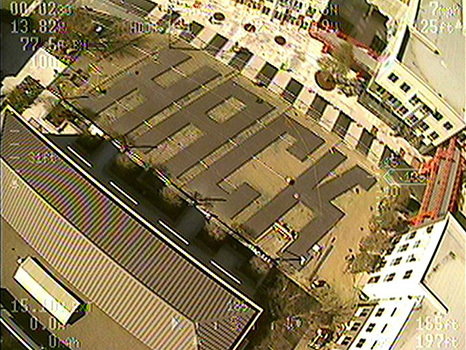 Trying to one up my previous building HACK we came up with the idea of doing a large HACK graphic in the center of campus out of two tones of poured concrete.